Running a business is challenging. When you decide to outsource manufacturing and/or fabrication, you will encounter new challenges. At United Global Sourcing, we want to help identify the most common challenges and then give you some solutions to better serve your business. Outsourcing can be a daunting decision. The transition, implementation, and follow-through stops business owners in their tracks. We understand! But if you want to grow your business utilizing outsourcing, contact us today! 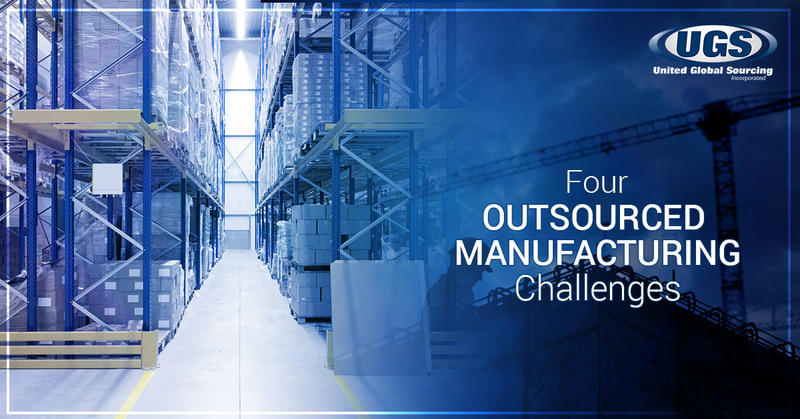 In this post, we’ll share four challenges businesses have transitioning into outsourcing their manufacturing or fabrication needs. We’ll also share some general solutions to consider to make the transition easier. Every business owner that wants to scale struggles with the question, “How do I scale and keep expenses/costs low?” You can spend weeks, months, doing the math, researching, testing, and, inevitably, failing to create scalability in your business. As disheartening as it sounds, you may not have a scalable business. Nonetheless, if you manufacture anything, there is most likely an international factory that would be able to take on your current manufacturing obligations with room for growth. This means you can focus on your core competency, which may be sales, design, or otherwise and make the most out of your time. Every business needs cash flow. It’s the lifeblood of business. How many ways can you think of right now that could increase your company’s cash flow? One way is to reduce the cost of manufacturing, production, and/or fabrication. Another way would be to hire a CPA to dig into your books and find opportunities to reduce financial obligations and costs. As a business owner, it’s your responsibility to figure this all out. You can spend years fine tuning all of this, or you can begin to outsource pieces of your business, reducing overall expenses, and mitigating cost. You, then, are able to increase cash flow, which helps you grow and scale at a quicker pace. Response time can apply to manufacturers and the market. First, when you manufacture in-house, you’re responsible for the time between concept and viable product to market. This “system” can be modified, optimized, and adjusted to meet standards, but how much time and money will it take to do this? It can vary. Second, the market can shift quick, and you need to be on your toes as a business owner to adjust accordingly. It will cost to keep up with the market, but not as much as going out of business. A simple solution to all of these issues is to outsource your manufacturing and/or fabrication. All you need to do to follow the market or adjust production is make a phone call. If you’re already outsourcing manufacturing, but you have multiple factories taking are of your needs, it may be time for a change. Multiple manufacturers will demand more time, money, and attention than having one or two of them fulfilling your needs. United Global Sourcing offers manufacturing process and supply-chain services that take care of your communication needs for you. When you choose United Global Sourcing, you get top-tier quality with exceptional communication. Our dedication to our customers’ successes is what has made is substantially more successful the the other companies in the industry. As you face manufacturing and fabrication challenges, consider outsourcing. Contact United Global Sourcing today to get a FREE estimate for your business.